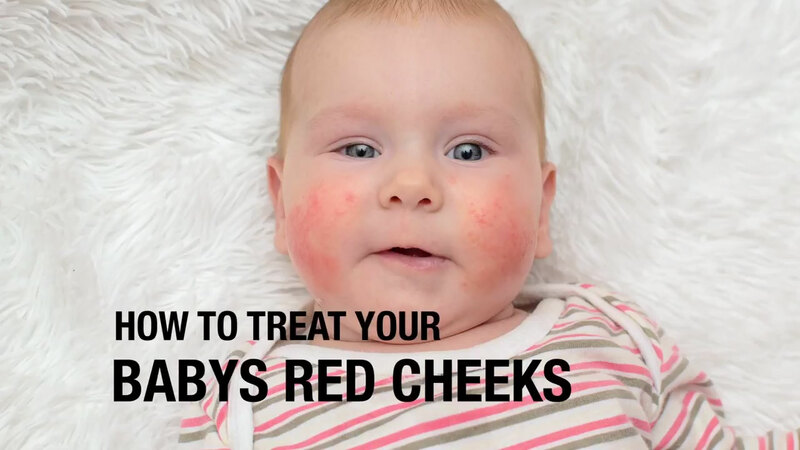 How to treat your babys red cheeks? - Babies do get acne, and while it's perfectly harmless, it can sometimes bother the parents, especially if you have big plans for a baby photo shoot. Baby acne often appears around two or three weeks of age, and it can last for about two months. What is usually recommend is washing your baby's face with just a mild, unscented baby soap and some water. If the acne is very red and angry looking, ask your doctor about putting on an over the counter 1% hydrocortisone cream just for a few days in a row to help tame the acne down. Simply, it's what looks better for pictures. It's perfectly a harmless rash, and there's no other reason to treat it. It'll go away in time. It's usually due to the transfer of mom's hormones to the baby, and having acne as a baby does not mean that your baby will have more acne when they're a teenager. Video Categories: BABY, How to take care of a baby? How do preemies develop differently? How to treat drooling rash?